Software Defined Networking is a revolution that is now upon us; and whenever a revolution occurs, consistent with human nature, there is always a hearty dose of revolt first. Revolt to new ideas and concepts shows up consistently in our human history, with IT being no exception. Despite the fact that SDN has already been adopted by such powerhouses as Google, Ebay, Facebook, and Yahoo, some question whether the rest of us need SDN. 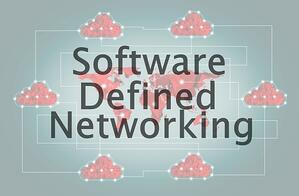 In our article Debunking the Myths of Software Defined Networking, we go into detail on some of the myths surrounding SDN. But for the purposes of this blog, let’s take a brief look at 4 such myths. Reality: This is perhaps the best one to start with because this myth has touched our core since the Industrial Revolution, when we revolted against big machinery replacing human factory workers. It is scary to think about machines replacing humans, yet what happened with the Industrial Revolution was an explosion of new technologies that the automation itself helped create – which meant even more jobs. Yes, Software Defined Networking will automate process that were once manual, but network administrators need not look for other employment – instead, they will acquire even higher technical skills and allow IT managers to focus on strategy. Reality: Implementing SDN does require that all of your hardware be SDN-compliant, yes. But that does not mean an overhaul of your entire network at once. When making significant upgrades to hardware, most companies devise a simple strategy that includes targeting high-end servers first with suitable back-up devices during the “go-live” stage, or starting with lower end, less critical hardware and proceeding in a systematic approach, and always along your own timetable. Reality: Absolutely implementing SDN will greatly reduce your capital expenses – but that is not the greatest financial benefit to implementing SDN by any means. In fact, the greatest impact actually lies in the huge reduction of operating costs by streamlining your network automation, agility, and control. This is why the big guns mentioned above implemented SDN – they simply couldn’t afford not to. And if you think that SDN is only relevant to large companies, check out the next myth. Reality: This myth naturally surfaces because of the big-named early adopters of SDN (Google, Ebay, Facebook, Yahoo to name a few.) However, it is usually the case that early adopters are able to see the value, and it is not long before others take notice that SDN is becoming necessary for everyone. In fact, it is the smaller organizations with low budgets and staffing limitations that stand to benefit as much as the big guns. Those are the top 4 myths debunked, but there are others floating around out there, such as the belief that SDN is only a concept, or that IT staff will now be required to have programming skills. SDN, as we have seen above, is already here and going strong, and has made the hurdle of concept to implemented reality. And as far as IT staff requiring programming skills? There are turnkey solutions available that allow SDN to be implemented without your IT staff writing a single line of code. The financial and operational benefits to implementing SDN are hard to ignore. In our whitepaper entitled, Software Defined Networking – the Next IT Paradigm of Promise, we go deeper into the technical details of implementing SDN, providing the nuts and bolts of the technology as well as the specific benefits to your business.